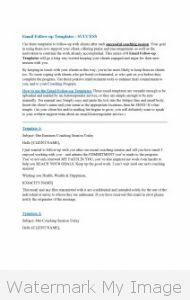 Email Templates for Coaches – New Product Introduction! 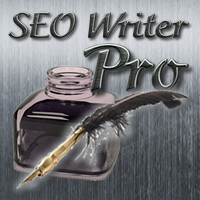 Here at SEO Writer Pro, we work with a variety of coaches, both emerging coaches and established coaches. One of the their biggest complaints is the time it takes them to communicate with established and potential clients, using email to stay in touch and/or support them. As a result, we have created a series of 18 Email Templates for Coaches, to help any coach to better communicate with potential and actual clients. As a busy coach, these templates will save you time and frustration, allowing you to focus your time more effectively on running your coaching business and working with clients. Just Imagine the Time you’ll Save with these Email Templates! Use these email templates to offer ongoing SUPPORT and ENCOURAGEMENT, and to keep your clients COMMITTED, MOTIVATED, and ENGAGED. By communicating in this way, you will improve client retention, despite any problems that may develop. Don’t allow your client to get bored or frustrated. Don’t allow your client to quit on you before they complete your Coaching Program. Use these positive reinforcement tools to enhance their commitment to you, and to your Coaching Program. With the Email Templates for Coaches Package, everything is Done-for-You. Simply upload the emails to your Autoresponder service and you’re done! Go Here to Learn More or to ORDER NOW! With a total of 18 professionally written email templates, you will have all you need to offer Support and Encouragement to your clients, as well as saying Thank You for choosing to work with you, providing you with Testimonials, and Renewing their Commitment to Continue Working with You! By keeping in touch with your clients in this way, you're far more likely to retain them as clients, despite any problems that may develop. Don’t allow your client to get bored or frustrated. Don’t allow your client to quit on you before they complete your Coaching Program. Use these positive reinforcement tools to enhance their commitment to you, and to your Coaching Program. 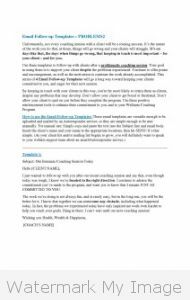 Posted in New Product, Writing Services	| Tagged build traffic, content writing, email templates, grow sales, online content writing services, writing services, writing support for coaches	| Comments Off on Email Templates for Coaches – New Product Introduction! We’ve recently updated our Writing Samples Page, with new images reflecting some of the more interesting work we’ve performed for our clients. The new writing samples include Press Releases and Website Page Copy for a variety of clients, which emphasize the diversity of the work we offer at SEO Writer Pro. The assignments came from a wide range of clients and deal with a broad spectrum of subjects: from cycling to retail sales; from large corporate entities to small local businesses; from online video marketing services to home relocation services; from health and fitness coaches to financial planners to an IT support company. Each assignment required specific parameters to be filled, and all were met – on time and to the client’s satisfaction.